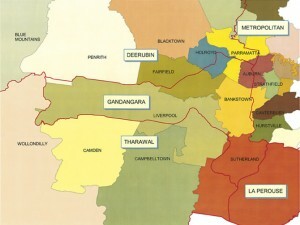 Interesting stuff happening over at the Gandangara Local Aboriginal Land Council. The Council has a clever two-track investment strategy—make a nice, fair profit on a land development and, then, take that money and pour it into some pretty cool services for people. Importantly, Eric will have basic literacy and numeracy skills, know his numbers, recognise letters and sounds, and be able to write his name — all as a result of attending playgroups set up by the local Aboriginal land council. Aboriginal children tend to start school not far behind their non-indigenous classmates but fall further behind as they progress through the school years. To tackle this problem, the Gandangara Local Aboriginal Land Council in southwestern Sydney started a program about 18 months ago to run playgroups to help prepare Aboriginal children for school, and the council is now running 10 groups, with plans for a further 20. To hammer this point home, don’t you love a vision of leaders who see where they can bring in some revenue but they also get that the beneficiaries of prosperity should be their constituents? Judging by the fear-mongering, anti-union rhetoric spilling out of the mouths of business and the Coalition, you would think that unions are a massive power, with a majority presence in every corner of the workforce. But, the intensity of the rhetoric only tell us one thing: how determined anti-union forces are to destroy the basic standard of living of every work. Read too much of their stuff and you come away thinking the union movement has risen from its death bed to pose the greatest threat to our continued prosperity. Remember, union membership is down to 18 per cent of the workforce (from 50 per cent in 1982) and 14 per cent of private-sector workers. Another figure to keep in mind when you read about the union monster poised to eat the economy’s lunch: more than 80 per cent of enterprises don’t have a union presence. Two labour lawyers, Dr Anthony Forsyth, of Monash University, and Professor Andrew Stewart, of Adelaide University, note in their submission to the Fair Work review that ”the concerns about union activities that so animate certain employers in the resources, manufacturing and construction sectors are very far removed from the issues confronting businesses in other parts of the economy”. Truth is, many more workers are covered by collective agreements than are union members—but employers overstate union power for political gain. The real issue is: bosses can’t have it both ways—either the unions are weak or an irresistible force. Make your choice, fellow. So, when you hear the anti-union forces pontificating about the huge power of unions, remember that really this is a cover for a different agenda: business and the Coalition wants to destroy unions as a force and to extract every dollar possible from working people and put it in the pockets of the elite. Today’s installment of reality versus fantasy is brought to us courtesy of Barry O’Farrell’s flogging of that tired-old, and entirely false, presumption that the magic of privatization and outsourcing and will cure all ills. It reminds us that the Coalition’s entire economic philosophy is anchored by false, phony and economically bankrupt ideas. The NSW public service would be forced to compete with the private sector under the recommendations of a review chaired by businessman David Gonski which pushes for major changes to how the state provides health, transport and other important services. The government supported most of the 132 recommendations and said it would use competition to ensure the public sector’s performance kept pace with the private sector. “We have to change the way we manage and deliver, and we have to change fast,” NSW Premier Barry O’Farrell said. So, to clear up one obvious point: is it surprising that the “audit” conducted by a former Sydney Water managing director — an organization that is panting to privatize — would advocate for privatization? This is classic “garbage in, garbage out”: you get results based on the bias you go into any project with. One of the reasons that these theories aren’t laughed at is simply that the traditional press is lazy and does not understand basic economics. Reporters are not doing their research and so they simply show up, regurgitate press releases or reports, without doing any independent research — not to mention independent thinking. You don’t need to be a deep thinker though. You can rely on that very secret, obscure tool called “Google”. It takes any average person like yours truly about 30 seconds to find evidence from across the planet that privatization does not work. Repeat: it does not work. Some privatization efforts are windfalls that enrich major corporations or politically connected local businesses at the expense of taxpayers. Sometimes the cause is simply a mismatch between the resources and expertise of a public official and a major Wall Street firm. “There’s a reason that there’s been so much enthusiasm in the finance community for privatization deals. You are dealing with a less savvy partner,” said David Johnson, a partner in a firm that advises struggling municipalities. “The bigger sucker is always the government.” Privatization can be good business, whether successful or not. When privatization plans fail and government steps back in, politically connected financiers brokers, and law firms can still walk away with millions of taxpayer dollars. In recent years, dozens of privatization initiatives have been proposed, passed, or implemented. They are aimed at water treatment, transportation infrastructure, education, prisons and prison services, health care and other human services, government buildings, municipal maintenance, emergency services, and more. Those efforts are frequently promoted by the same Wall Street firms that helped create the recession and financial crisis; by right-wing foundations, think tanks and political donors who are eager to exploit the budget-balancing desperation of public officials; and, of course, corporations eager to tap public coffers and take over assets built with taxpayer funds. What’s pretty clear is this: O’Farrell, The Coalition and their other privatization groupies can’t have an actual serious debate about the economics of privatization — because they can’t win on the numbers. So, they make it all up to hide a far more serious agenda: the undermining of wages for public workers, and for society as a whole, in favor of siphoning off more wealth to big business and the elite. Jennifer Hewett, may I introduce to you a man by the name of A.J. Liebling. While Hewett may live in the world of the Fantasy Review, Liebling lived in the real world of media, where power and democracy often clashed. Rinehart cannot even agree to a basic requirement to adhere to a code that has been broadly accepted, the questions should be aimed at her motivations, not Wayne Swan’s motivations. But, in the world of the Fantasy Review, reality plays a very small role. The PM is going to be chatting live on-line today at News.com, focused on the question of rising power prices. This should be a pretty straightforward issue, with facts guiding the discussion. But, The Empty Suit, Leader of the Coalition, is trying to muddle the issue…and who can blame him? He’s rolled the dice trying to scare the entire nation about the carbon tax — which is proving to be a non-event. Yes, prices of electricity are going up. But, it’s pretty clear this has virtually nothing to do with the carbon tax. First, the states who own electricity network businesses are doing well out of it. Take New South Wales: separate to carbon pricing, there’s been a 70 per cent increase in prices over four years. And there’s been a 60 per cent increase in the dividends that the NSW Government gets. Second, meeting peak power costs too much. One quarter of your electricity bill, more than $500 a year for a typical family, is spent to meet the costs of peak events that last for less than two days each year in total. It’s like building a ten-lane freeway, but with two lanes that are only used or needed for one long weekend. Third, customers need more choice. The states should sign up to the National Energy Customer Framework, with strong protections when people can’t pay their electricity bills and extra information to help customers get the best energy deal. And finally, I am pushing for the whole electricity system to operate more efficiently and more effectively. I’d rather do this with the states. We’ll only use the big stick of stronger powers for the Energy Regulator and the ACCC if we have to. In other words, it’s the electricity generating companies who are trying to sock us with costs for building up new capacity. In Queensland and Victoria, the power companies have not invested in new capacity since 1998 — and, as the PM points out, they now need to do so largely to absorb peak power needs for just a few days a year. That has zero to do with the carbon tax. None. Nada. The Empty Suit, though, is in a real box. He has staked a huge part of his campaign on the “sky is falling” results from the carbon tax. So, when you listen to what he says now, pay very little attention because it’s not based on the real facts on the reason for the rise in electricity prices. All you hear mostly about the mining boom in Western Australia is the wonders of people making money hand over fist…well, mostly Gina and her band. But, there’s another side: the overcrowding in prisons. Today’s report from the Inspector of Custodial Services lists the State Government’s failure to replace or renovate vital infrastructure at Albany Prison, some of which has needed attention for many years…Mr Morgan’s report highlights the opening of a new accommodation unit earlier this year only for another unit to be mothballed at the same time – saying the government has ‘redistributed not redressed’ the overcrowding problem at the prison. Once again, a union has seen ahead of the curve — because its members are the ones dealing, in this case, with overcrowding and the threat to the working conditions of its members from the push to privatisation. Action now would speak a whole lot louder than just a report, as welcome as it might be. Next Generation Capitalism: Open Thread For Debate-Comments! What are your thoughts? Discuss amongst yourselves here or post thoughts that can be passed on to the panelists or others. What do you think the world learnt from the GFC? The pursuit of profit at any cost by business is on the nose around the world – Can there be a Next Generation of capitalism that looks and acts differently? Are the objectives of maximizing shareholder value and pursuing social purpose diametrically opposed – can they ever be reconciled? Can business truly deliver profit as well as social and environmental outcomes to solve some of world’s wicked problems? Do we need alternative business models – like the cooperative model – to re-emerge and grow? Can this social business movement really become the mainstream? Or can it comfortably co-exist? What do you believe the 99% movement was really saying? Does capitalism need to be transformed through different business models or is it enough for social enterprise to influence the way corporates do business? What’s the motivation for an entrepreneur to establish a social enterprise rather than a purely profit driven business? What is standing in the way of this Next Generation of capitalism? How do you make the business case that more responsible capitalism benefits shareholders? What’s the role of shareholders in this new world of ‘more responsible’ business? What’s the role of government’s in this new era of more responsible capitalism? What are B Corporations in the US? Should Australia be introducing the same kind of legislation? What’s already working? How can it be built upon? Are you saying it’s time to stop chasing growth and start pursuing happiness? Have societies forgotten how to cooperate? What flow on benefits might society reap from a more diversified business landscape? Should economies still measure their performance according to output using Gross Domestic Product, or instead use measures such as quality of life, security, social justice and sustainability? In what ways has consumer thinking changed? How can we make the economy work for us, instead of the other way around? Does capitalism have a future? Well, it certainly has done a number on billions of working people over the past few decades. But, a network of people are grappling with this question: Can there be a Next Generation of capitalism that looks and acts differently? What do YOU think? Leave a comment here.